A forklift is a handy piece of equipment that is used in a variety of jobs from manufacturing to construction work. This piece of equipment can make moving loads easier and faster and save stress and strain on workers backs and limbs. However, unless the person operating the fork lift is trained properly to run this machine safely it can be a dangerous tool for both the operator and other workers in the vicinity of this potentially deadly piece of equipment. This makes it vitally important that anyone who operates a forklift completes a forklift-training course. Checking the forklift to ensure that it is working properly. Knowing the forklift attachments and how to safely and correctly install them. Knowing how to properly and safely lift and move loads. Knowing how to properly and safely park a forklift. How to safely maneuver around other workers, pedestrians, and items in a warehouse. 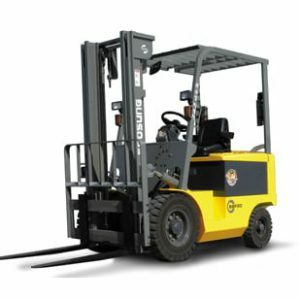 Many of the rules and safety procedures in the forklift safety training may seem like common sense, however, due to the large number of work related accidents involving fork lifts and the safe operation of this piece of equipment, training in these common sense rules are necessary in order to protect your employees and your business property. Emphasis is placed on the fact that forklifts can be a dangerous pieced of equipment and operators need to remain alert when operating one. The number of unbalanced and falling loads, rollovers, and collisions involving forklifts that occur each and every year show the need for such training courses to help prevent serious injury and death on the job. When you stop to think that one of these courses takes less than ½ an hour to complete online it simply makes sense to ensure that your operators are trained and competent in operating a forklift. It seems that 30 minutes is small amount of time to invest in training that could actually save lives.